We are pleased to welcome to Portland Dr. Erlene Chiang, PhD, DAOM, LAc, daughter of Grandmasters Hui Liu (aka Shimu) and Dr. YC Chiang! She will be giving a talk on the medical applications of Wild Goose Qigong, including the benefits of specific movements. Come join us for this unique event! ​Dr. Erlene Yan-Ping Chiang has been a Board Certified Acupuncturist and Herbalist for over 30 years. 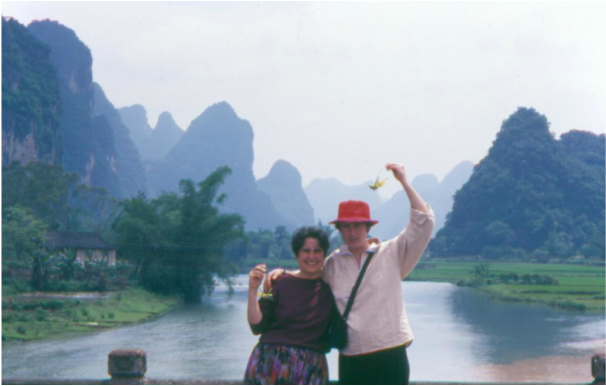 She received her BS from the American College of Traditional Chinese Medicine, her MS in Oriental Medicine Advanced Research from the American Global University, and her DAOM from the American College of Traditional Chinese Medicine in San Francisco, where she has been a professor in their doctoral program since 2011. Dr. Chiang has been active with the American Cancer Society for 10 years, serving in various leadership roles including President of the California Chinese Unit. In addition to teaching, she has private practice at Chung Hua Clinic of Acupuncture and Chinese Herbal Medicine, in El Cerrito, CA, where she specializes in the treatment of cancer and autoimmune disease. She is also the Senior Administrative Director of the clinic’s martial arts school—Wen Wu School, which offers classes in qigong, tai chi, and shaolin kung fu. 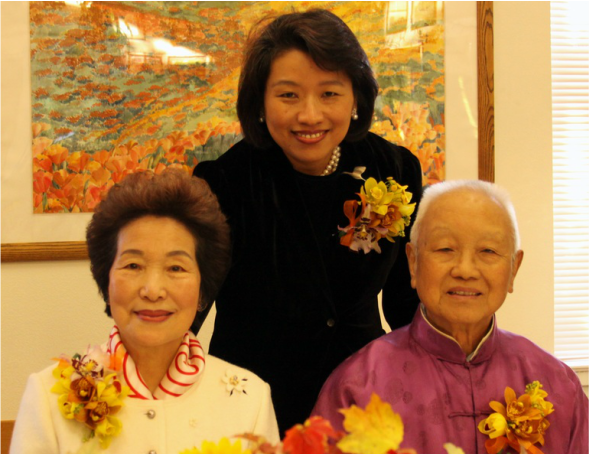 In 2004 she was awarded Best Asian Herbalist by the East Bay Express Newspaper. 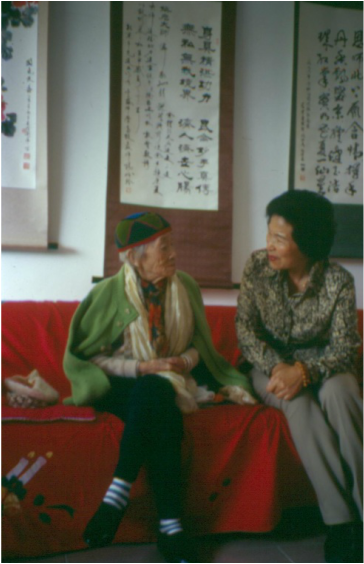 She comes from a long lineage of classical Chinese Medicine doctors, artists and scholars. Her great-grandfather served as one of the last Chinese emperor's physicians. Her father has been a Chinese Medicine doctor for over 60 years. 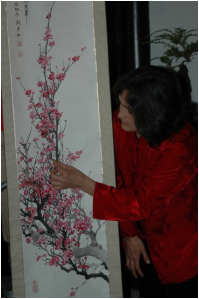 Both her parents are world renowned Chinese brush painters, calligraphers and martial arts grandmasters. Once a month we volunteer at St. Andrew's Memory Care Center, a residential care facility for people with Alzheimer’s disease and other forms of dementia. We offer a half-hour Qigong practice with residents, including sitting tai chi warm ups, and a demonstration of the first set Wild Goose Qigong form. 7:00 pm to 8:00 p.m.
August 1, 2015 Congratulations to Fran, Tatiana and Jeff on their certification as Dayan Qigong Instructors! Commit to a 30 day transformative experience! 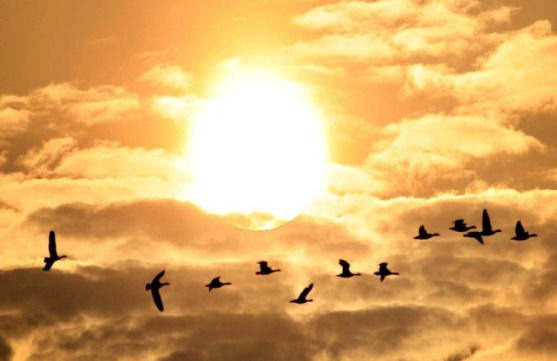 Join Kathryn Langstaff in daily Wild Goose qigong practice to harmonize yourself each day, as you develop and strengthen your qigong practice. 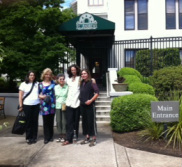 We would like to express our gratitude to Francine and Tatiana for their dedication to the Wild Goose Qigong practice. 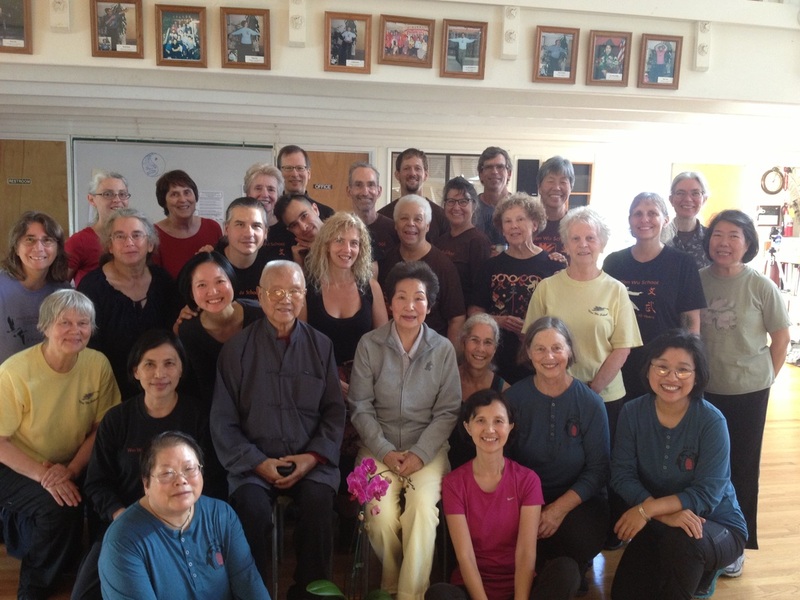 They have completed the Teacher Training course at Wen Wu School, El Cerrito, CA (offered only once every 10 years). 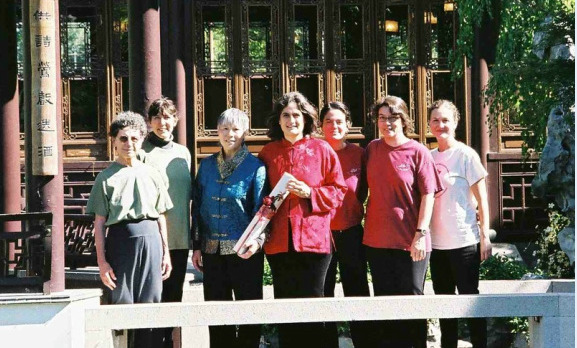 They had the honor of studying directly with Grandmaster Hui Liu and her daughter, Dr. Erlene Chiang, DOM, Ph.D., along with senior Wild Goose Qigong instructors Peggy Dey and David Zurin. Our community is blessed by the opportunity to have more certified teachers! Wen Wu School Portland was honored to be part of this global event. For many years, this unique life-affirming practice has provided an important world demonstration of peace, wellness, and sustainability through affordable healthcare practices. The event brings people together across all socioeconomic strata to celebrate health, wellness, and healing through a wide variety of taiji and qigong practices. We had over 40 people participate in our demonstration (plus a great blue heron and humming bird)! Thank you to all of our students and fellow practitioners for bringing your good qi! Happy Year of the Water Snake! 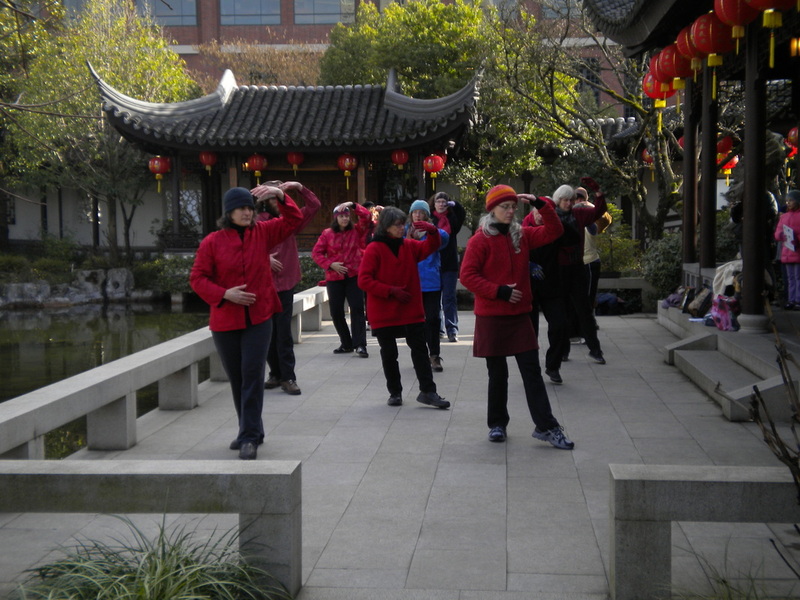 As part of our annual celebration of Chinese New Year, we gave a lecture and demonstration at Lan Su Chinese Garden on Thursday, February 14, 2013. We were thrilled to have our colleague and fellow wild goose, Dr. Bob Rosenbaum, come up from the Bay Area to lead a 1-day qigong and meditation workshop and second set review for our students. Bob is a senior Dayan Qigong instructor, certified by Master Hui Liu from Wen Wu School, and is a Zen teacher entrusted by Sojun Weitsman, Roshi. Bob also has 30 years experience as neuropsychologist, psychotherapist, and behavioral medicine specialist. 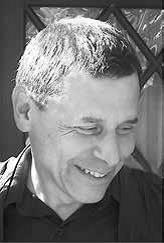 He was chief psychologist at Kaiser Permanente Medical Center; a Fulbright professor at the National Institute of Mental Health and Neurosciences in India; and director of the doctoral training program at the California Institute of Integral Studies. 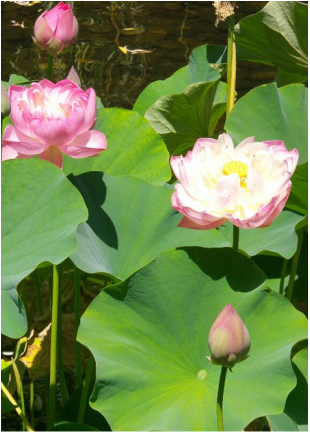 He introduced qigong practice to Kaiser Permanente Medical Center, where he developed numerous neuropsychological services as well as a mindfulness-based chronic pain management program and innovative approaches to brief psychotherapy. Te Ching, at Powell's Books on Hawthorne. 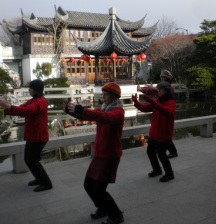 Demonstrating at Lan Su Garden January 27, 2012 for Chinese Lunar New Year. 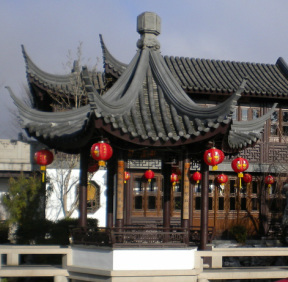 This year we were again invited to participate in the Lan Su Chinese Garden festivities for Chinese New Year. Demonstrations were given on January 27th and February 3rd, 2012 from 10:00 am - 11:00 am. Empress Wu was one such infamous woman. role in providing a holistic Chinese approach to physical, emotional and spiritual wellness. Ruth Williams, Jan Underwood, Cynthia Hon Eaton (WWS El Cerrito, CA), KKaty Langstaff, Padrice Stewart, Lita Buttolph, Bethany Berson. Not shown in photo, Fran Selke-Minogue and Tatiana Tannenbaum.